Enter this Johnsonville Sausage Insanity Sweepstakes for a shot at winning 1 of 20 amazing prize packs! 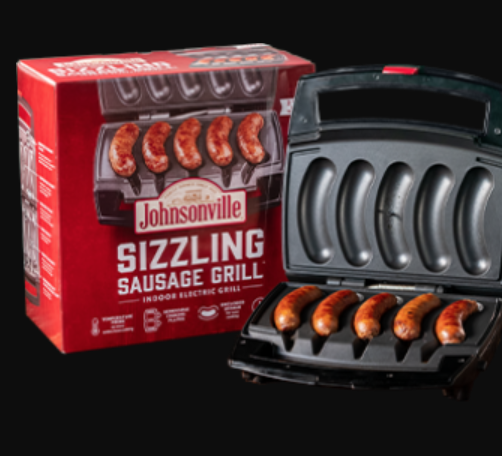 Prize packs include a Johnsonville Sizzling Sausage Grill and a year’s supply of sausage ($130 value). To enter, just vote for your favorite Johnsonville Sausage flavors by April 1st. Good luck!